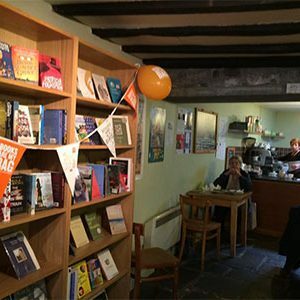 While visiting Brecon a few weeks ago I had lunch at The Hours, Bookshop & Cafe and what a delightful place it is. 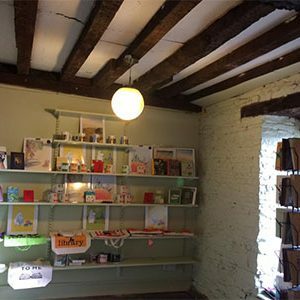 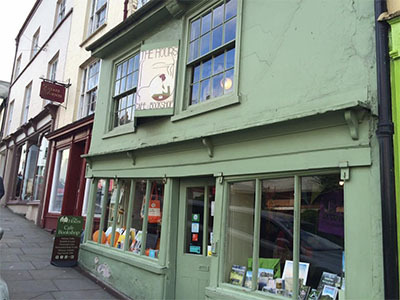 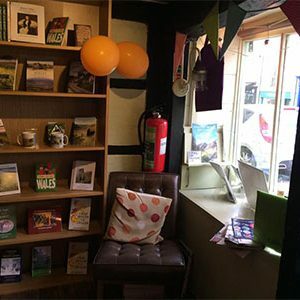 Situated in the very heart of picturesque Brecon this Grade II listed building with its wonky floors and slightly skew-whiff exterior lends itself perfectly to the magic of a bookshop. 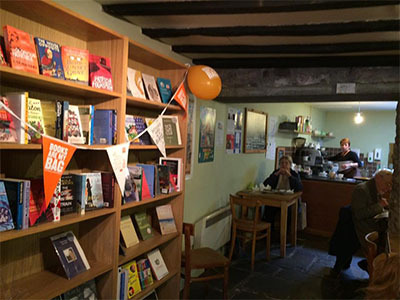 The ground floor is split perfectly between bookshop and cafe. 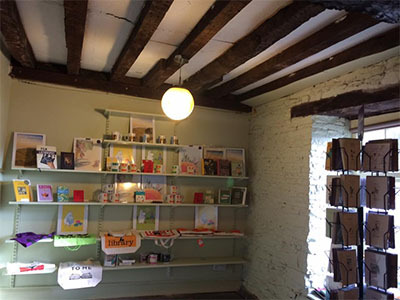 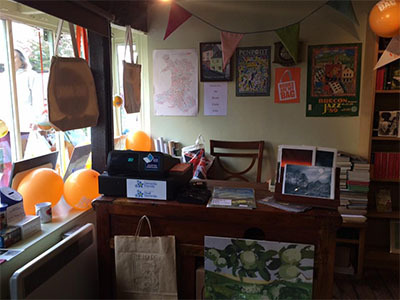 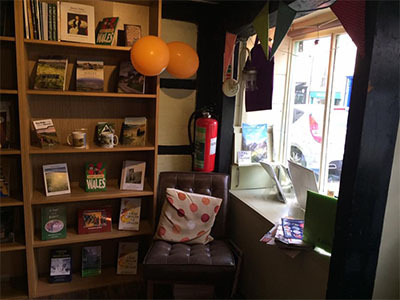 The entire front of the shop and shop window is an independent bookshop selling new books, gifts and of course books about the local area and Wales as a whole. 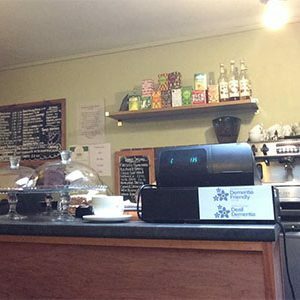 As you meander around the staircase to the back, there’s a little cafe selling fresh food and an original but traditional menu. 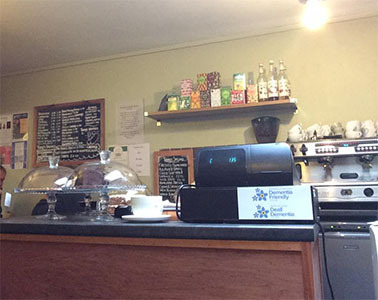 The service was wonderful, and while I did just have a sandwich is was absolutely delicious with thickly sliced soft bread and coffee that beats chain brand coffee any day. 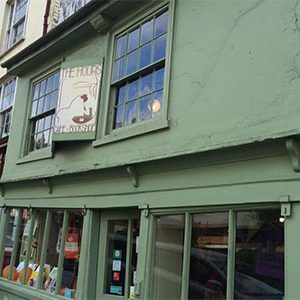 The place was humming with chatter and almost every table was full, but despite this the service was great (as was the company) and they were happy to accommodate our slightly quirky special order. 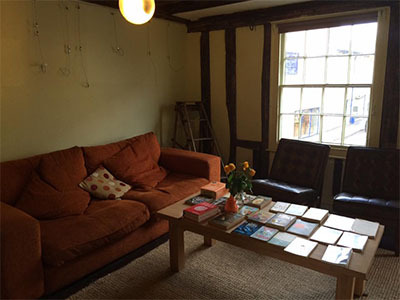 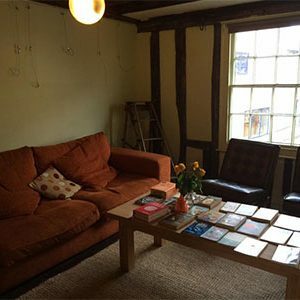 Before we left we headed up to the first floor where wonky floors and a big slouchy sofa give a delightful relaxed space. 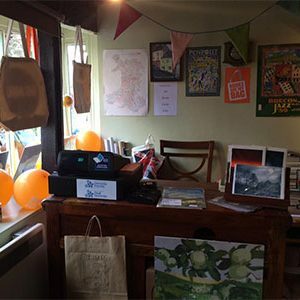 There are even board games to play, an array of second hand books and a lovely display of locally made literary inspired gifts. 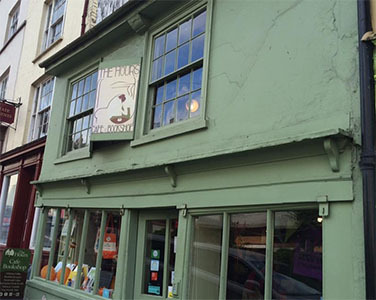 It’s up here that events take place too, and you’ll want to check their website for details of upcoming events. 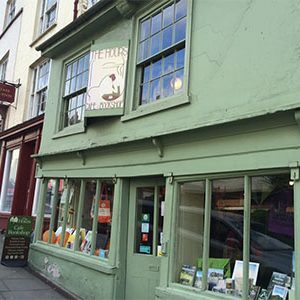 Brecon is a beautiful town, set at the foot of the beautiful Brecon Beacons, if you are ever visiting, pop into The Hours and pass some time.